In 1985 She-Ra Princess of Power made her debut in the He-Man and She-Ra: The Secret of the Sword animated feature film produced by Filmation. The kidnapped twin sister of Prince Adam, Adora was raised by the Horde's leader Hordak. Eventually He-Man would find and set her on the path to good, thus being granted the Sword of Protection, which parallels He-Man's Sword of Power, gaining the power to transform into She-Ra. This would be the last time that She-Ra would have her own animated series or appear on TV for quite some while. In the 2002 He-Man reboot, it was speculated that the third season would lead to the comeback of the She-Ra storyline, unfortunately the series was canceled after its second season. Back in 2016 Netflix and Dreamworks expanded their multi-year deal, from that deal Netflix gained some great original content such as Dragons: Riders of Berk, All Hail King Julien, Troll Hunters, and the very popular Voltron: Legendary Defender. 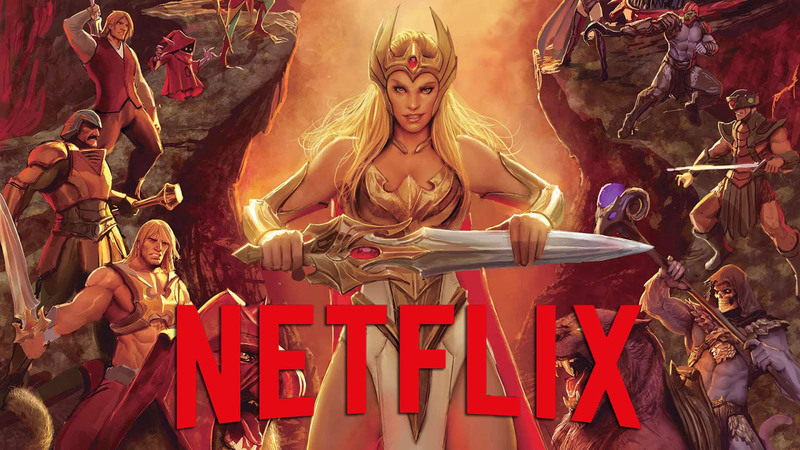 Now in 2018, Netflix and Dreamworks will reintroduce audiences to She-Ra: Princess of Power. She-Ra is the alter ego of Princess Adora and the twin sister of Prince Adam/He-Man. She made her debut in the 1985 Filmation animated feature film The Secret of the Sword as Force Captain Adora, a member of the Evil Horde that rules the planet Etheria. Her original debut depicted her as a kind woman under the spell of the evil Hordak. But in issue #18 of the 2012 HE-MAN AND THE MASTERS OF THE UNIVERSE DC Comics comic book she is almost an unrecognizably darker and vicious version of the animated TV show. In this version she is still kidnapped but I guess you could say more properly trained to be Hordak's army Captain under thame Despara. Which of course makes more sense when you compare it to the original 1980s cartoon. In this reboot we finally get an updated version of her She-Ra costume and it magnificent. It's more warrior Valkyrie than anything. 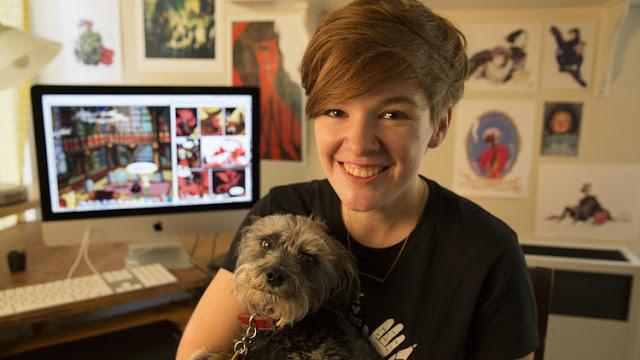 Noelle Stevenson is a Comic artist/Illustrator based in Los Angeles, CA. She is best known for her work on LumberJanes & Nimona which have both won Eisner Awards. She will serve as showrunner and executive producer for the rebooted series. Fans of her work are sure to be pleased by this news, since her work often deals with sexuality, friendship, and personal growth. It will be interesting to see what direction the new series will go. Fans like myself were thrilled to see She-Ra make a comeback in the come book, but wish the animated series had continued in order for her to make her debut. I am a fan of the tone of the comic book, but Netflix & Dreamworks have been churning out hit series with their collaborations. Voltron being their first reboot from the 1980s shows that they have a love for the characters the story telling. The animation has been a great in that series, so fans hopefully won't be disappointed with this new reboot. With the tons of properties laying wait form the 80s & 90s that could use a reboot it will be interesting to see what comes next. My hopes are for Silverhawks, ThunderCats (even though the last reboot was cool), Ronin Warriors (since Netflix has been big into anime lately). Which other series would you like to see rebooted by this Netflix/Dreamworks partnership?